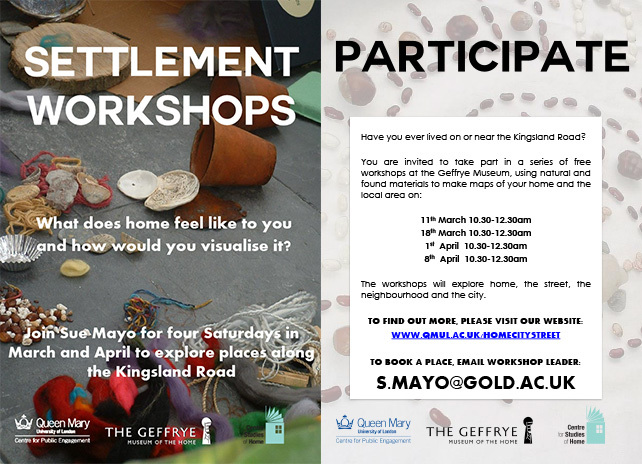 Settlements is a way of working which offers opportunities to create small worlds: villages, dens, conurbations, places of the heart, from natural and found materials. Through a series of structured exercises, we explore, alone and with others, landscape, home and exploration, to create images of places where we would like to live, in reality or imagination. The word settlement indicates the marking of territory by humans, an act which has been used benignly and aggressively through time. It also indicates a need to settle and stay, to make a place that becomes home. This working structure leads in many directions, and I have worked in collaboration with potter Daniel de Montmollin, choreographer Eleanor Sikorski, Sculptor Anna Sikorska, and Development experts John & Elizabeth Staley.